A trail at the Fort Caroline National Memorial is pictured. 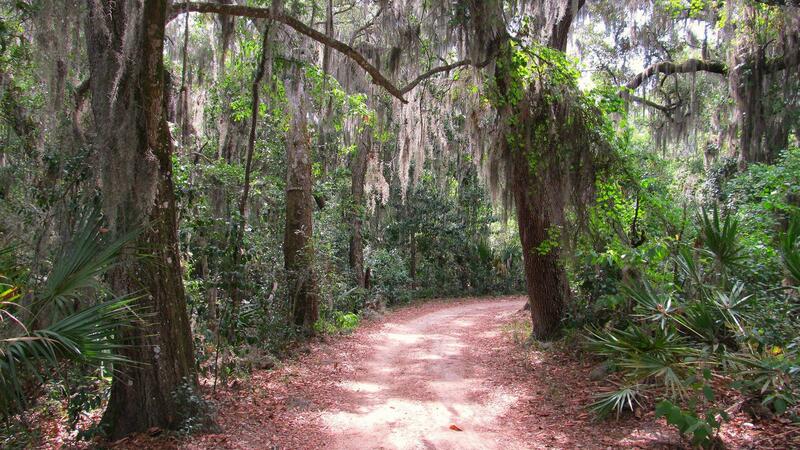 The Timucuan Ecological and Historic Preserve could be a lot more accessible in the years to come. Timucuan Park Superintendent Chris Hughes says although the Timucuan Ecological and Historic Preserve includes Fort Caroline, Kingsley Plantation, the Ribault Monument and many, many miles of hiking trails, it’s impossible to access the entire preserve via those paths. Hughes told First Coast Connect Host Melissa Ross Monday that the lack of connectedness is something Timucuan is working on fixing. “We’re in the early planning stages right now. We’ve gotten a grant to actually study where we’d put the trails so it’ll be anywhere from 3-5 years out before we see it implemented,” said Hughes. The Timucuan preserve reaches from the Dames Point Bridge east to the Beaches and is free to the public. The National Park Service is currently taking public comments on its plan to raise the fees at 17 popular U.S. parks during peak attendance periods each year. However, none of those parks are in Florida. Contact reporter Cyd Hoskinson at choskinson@wjct.org, 904-358-6351 or on Twitter @cydwjctnews. Monday on First Coast Connect, we spoke with Jacksonville’s Downtown Investment Authority CEO Aundra Wallace about some of the development projects downtown (01:13). This month’s edition of First Coast Success with Karen Brune Mathis featured local developer Ed Burr (23:14). As part of the Real Men Wear Pink fundraising month for the National Cancer Society we spoke with participant Moxie Kitchen + Cocktails owner/executive chef Tom Gray (28:12). Timucuan Park Superintendent Chris Hughes and Florida Times-Union columnist Mark Woods joined us to talk about the national preserve (34:46) and national park fees. Cole Pepper brought us the latest sports news, including the University of Florida firing head football coach Jim McElwain (46:00).